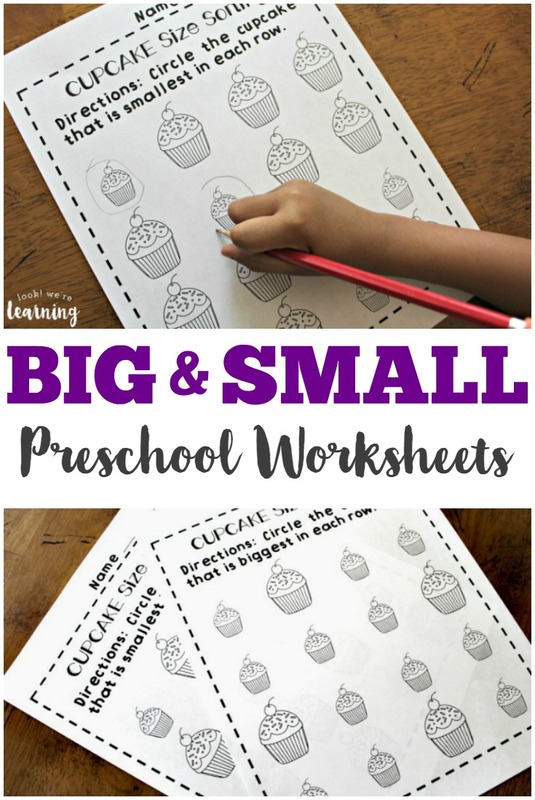 Preschool Worksheets: Big and Small Worksheets for Preschool - Look! We're Learning! Since she has older siblings, she seemed to become aware of the differences between bigger and smaller pretty quickly. After all, she wasn’t able to do a lot of things her brothers and sisters could because they were “bigger” than her. 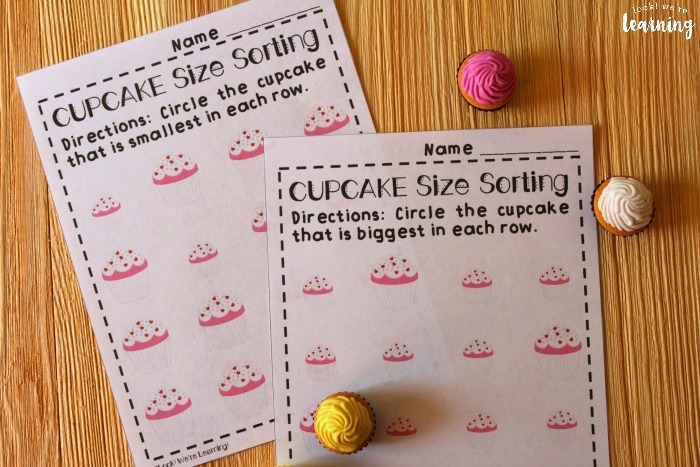 To reinforce the idea of size differentiation, I decided to try some big and small worksheets for preschool. 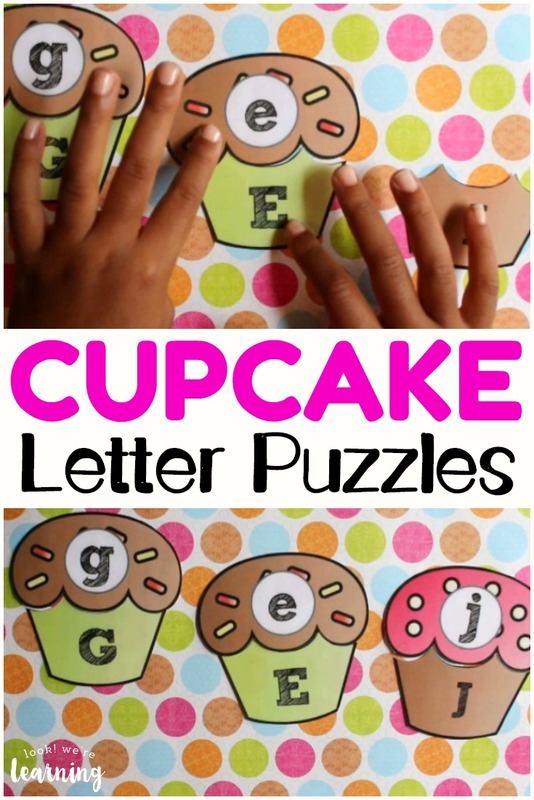 And I thought why not add a cute cupcake theme and make them free while I was at it! 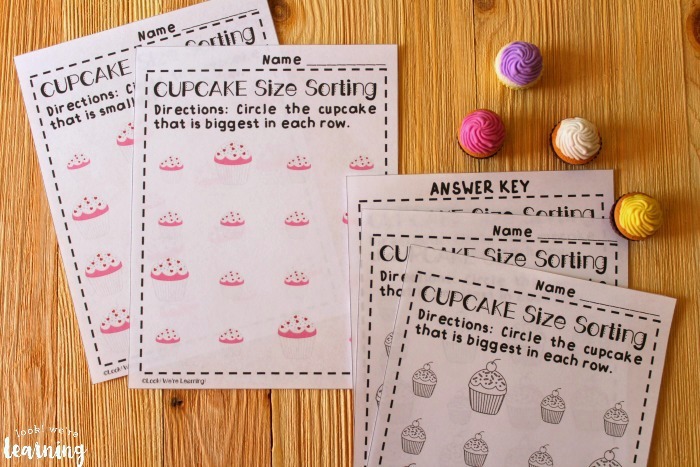 I’ve been on a bit of a cupcake roll lately, so if you want to build a quick unit for your preschooler, add these worksheets for preschoolers to our cupcake letter matching activity and our cupcake playdough mats! 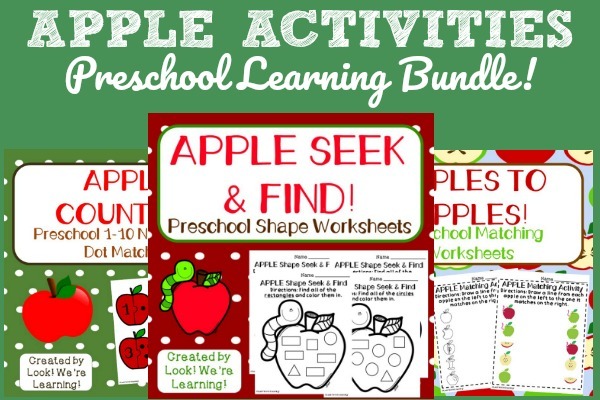 Plus, see our other preschool worksheets and activities for kids! 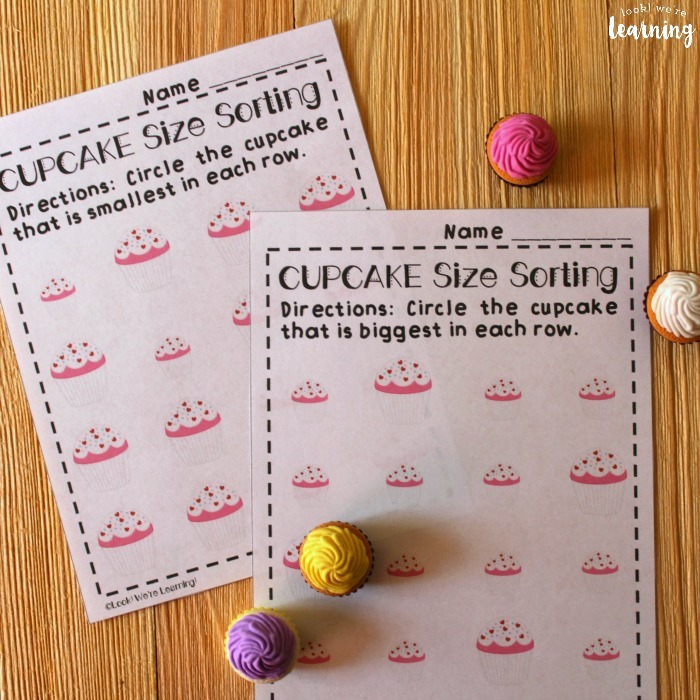 These printables focus on helping preschoolers learn the difference between items that are “biggest” and those that are “smallest”. 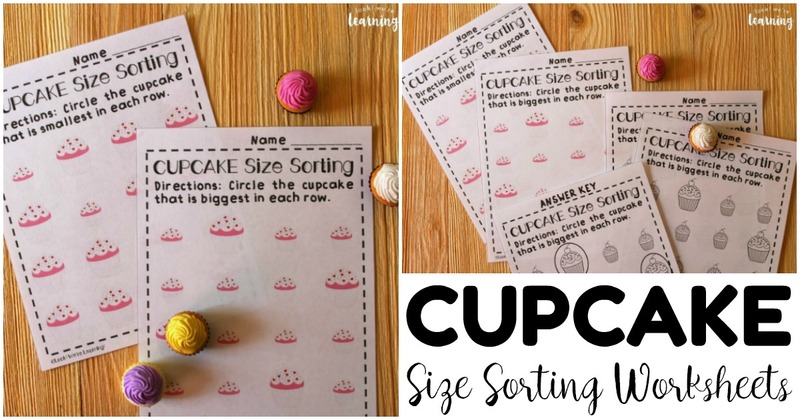 Kids can practice finding the cupcakes that are biggest on one worksheet. 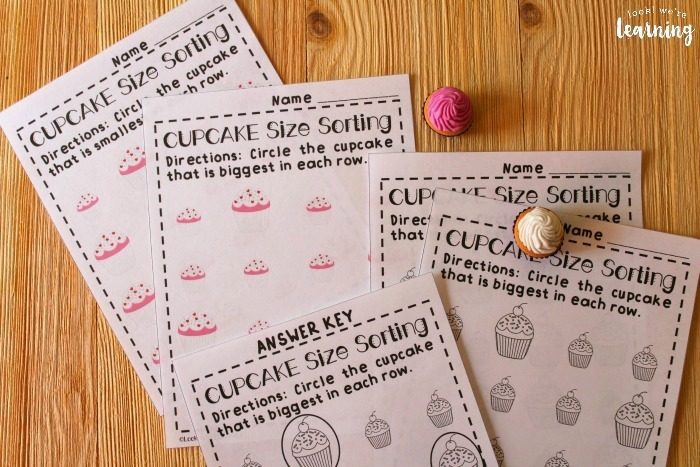 A second worksheet helps them practice finding the smallest cupcake in each row. 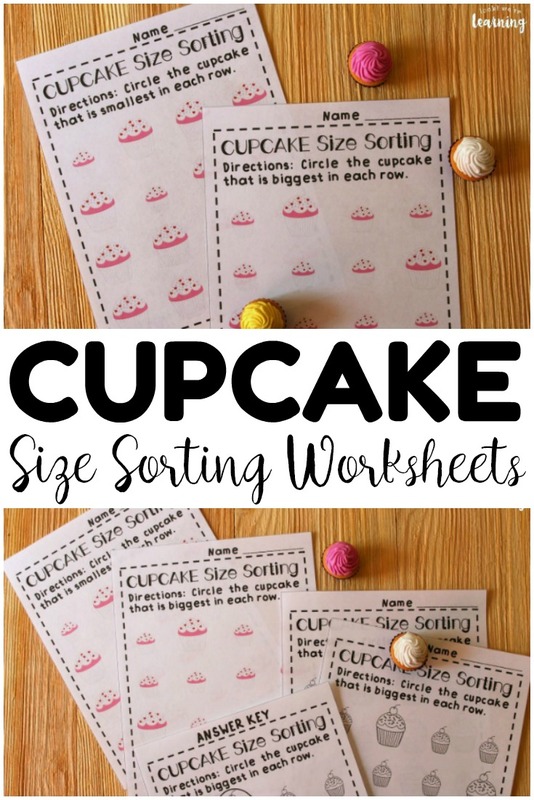 I didn’t want to do biggest and smallest on the same worksheet, because that could be a little confusing, especially for young learners. A complete answer key is included. And, if you use the line art version, you can let the kids color in their cupcakes afterwards. 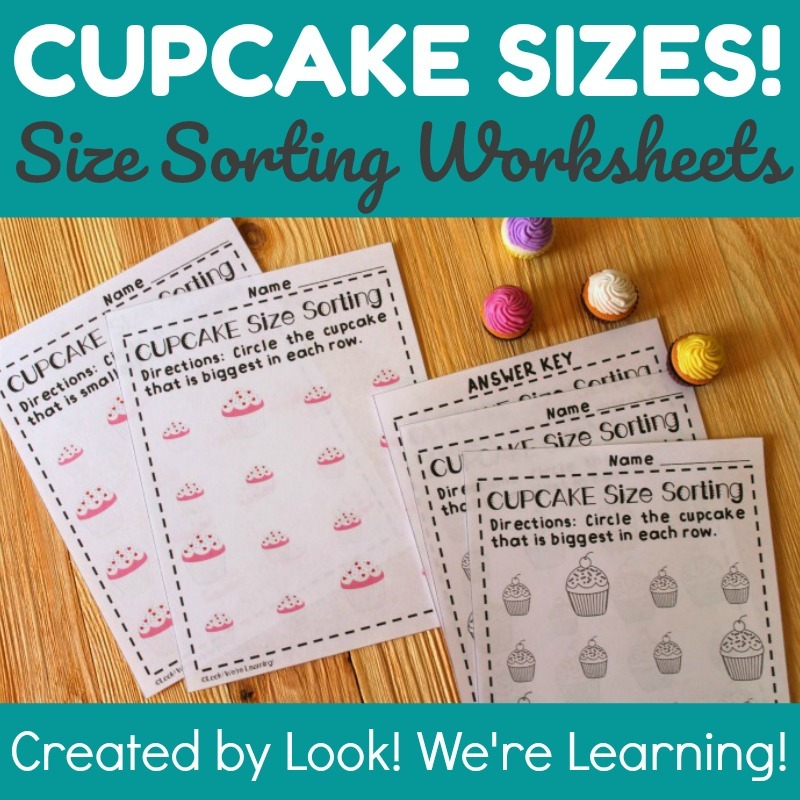 Scroll down to get your copy of our Cupcake Big and Small Preschool Worksheets! 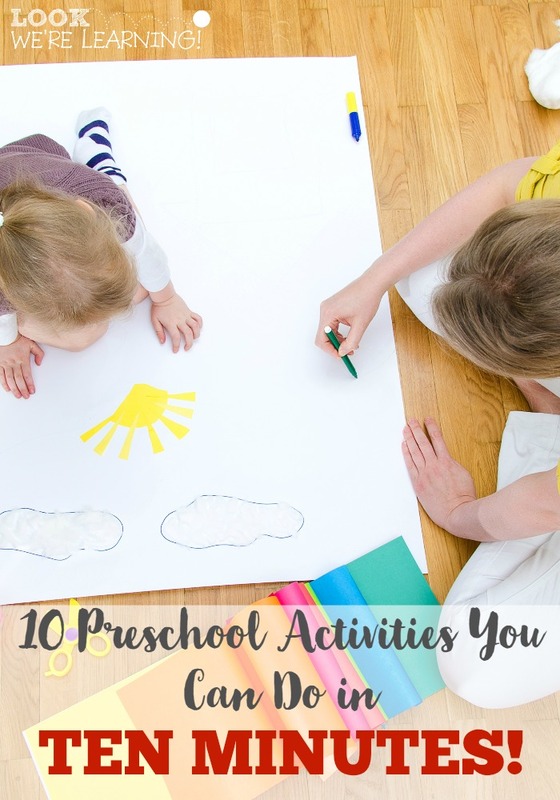 Try these other fun preschool activities! 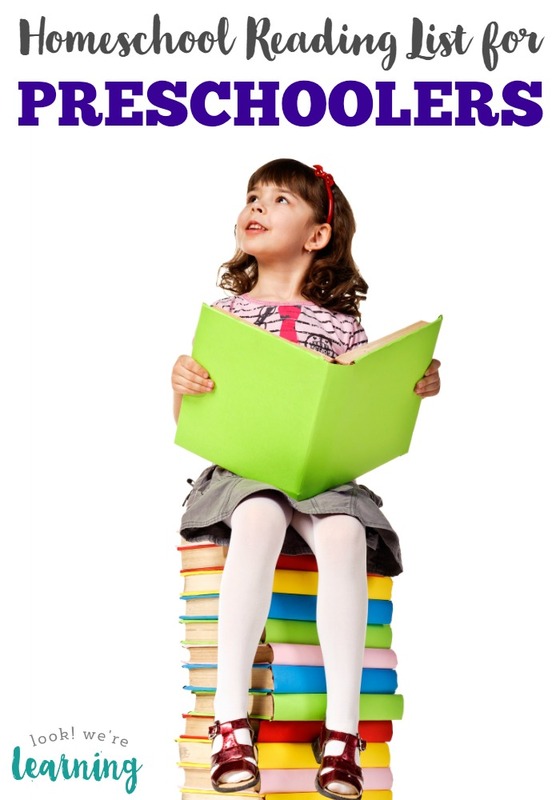 Plus, see more ideas for teaching early education on my Learning for Little Ones Pinterest board! 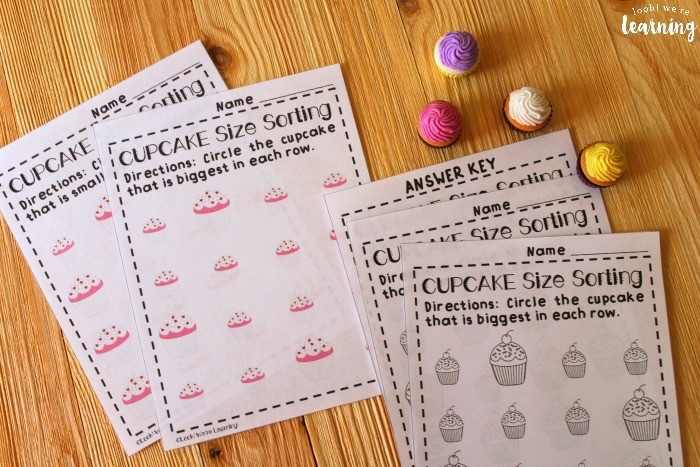 To get your copy of our Cupcake Big and Small Preschool Worksheets, click the image or the link below to visit our Store!